Often Pegasus Ventures Michigan website design clients look at online tools as almost mysterious de facto superior platforms to more traditional options. Don’t do that. As a website designer with lots of small business customers Pegasus Ventures Michigan counsels coming up with a few questions when thinking about any advertising and promotion. Investing $1 in advertising; what return equals success? What are the expectations for repeat business over longer run? 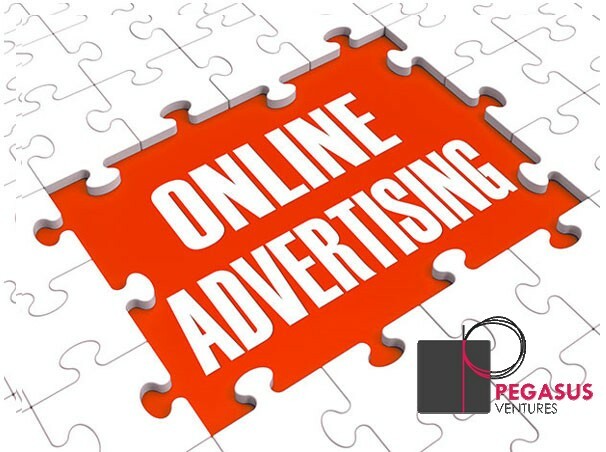 Does the advertiser reach the most possible people for the least cost. What offers best attract customers? How is one platform better than another? Remove “failure bias.” Working with pizzerias close to one another Pegasus Ventures Michigan learned early on owners often formed bias against certain advertisers saying “That doesn’t work.” Another customer a block away found the very same advertising company very successful. Ad content usually matters most. Skimpy, unimaginative offers don’t move people. Giving customers reasons to visit a small business also belongs in the equation. Smart advertising starts with realistic assessment. Restaurants see customers come back weekly, bi-weekly or monthly where a carpet cleaner gets called once or, perhaps twice a year. On the other hand a notary public only sees people maybe a handful of times in a lifetime. How many people in a specific market look for an industry in a given period of time? Look at Google My Business insights. Google My Business shares “reach information” comparing similar businesses to your company. While imperfect the numbers provide some idea of what Google users search for a specific industry in a specific community. For Pegasus Ventures Michigan client Light Bright Signs the company faces the fact few people think about roadside black signs in making advertising decisions. Reaching decisions makers requires finding and educating a minuscule group of people not readily accessed, small business owners and managers, to a great advertising option. The small business owner spending $1 with an advertiser needs a $20 return to equal a 5% of sales advertising line item. The savvy advertiser understands this formula demonstrating knowledge explaining how their business brings solid returns on investment. Pegasus Ventures Michigan suggests, also, looking at low cost options like $5 a month Craigslist. Many surmise old direct mail died. Not so fast! While use of direct mail continues to drop a number of restaurant owners and a carpet cleaner tell Pegasus Ventures Michigan they see a big upswing in results. While seemingly counter intuitive mailbox numbers remain steady, people visit their mailboxes and with fewer ads in the mailboxes the remaining ads earn more attention. Find the great ideas, question the salespeople ensuring they know their own business, and invest with a plan. Advertising on Google and Facebook ad campaigns bomb an awful lot. Are you searching for a restaurant or a web designer on Facebook? Not typically. Facebook best works to get new “likes” then growing a relationship with the new people through regularly engagement on your business Facebook page. Facebook is a subtle long term advertising tool. Google Ads works best for the online sellers and larger businesses. (Is there anything that doesn’t work better for big business?) Yet Google Ads properly tuned creates traffic to websites generating calls turning to sales. A problem and opportunity with both Google Ads and Facebook ads are both have quite a learning curve keeping small business owners away. Test them out. Limit the spends and learn the results. Both platforms provide robust analytics. Learn them step by step. Google offers a terrific YouTube channel where small business owners learn about Google Ads with bite sized videos! Click or tap here to learn more!